Join us for a cocktail hour, tour and panel discussion with clergy to learn about traditional and non-traditional mikvah uses. The program is geared for adults between the ages of 22 and 45, couples, singles, parents and non-parents who want to explore how immersion can enhance their relationships with themselves, with others and with God. Connect to each other in a supportive atmosphere that celebrates mikvah as a way of marking important life-cycle milestones. 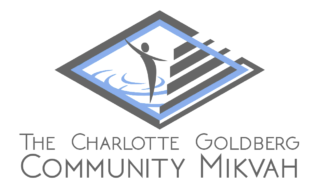 Ask the questions you’ve always wanted to ask about mikvah and hear from local Rabbis Josh Caruso (Fairmount Temple), Joshua Skoff and Sharon Marcus (Park Synagogue) and Scott Roland (Congregation Sha’arey Tikvah) about the ways they’ve used mikvah in their work with congregants. Explore modern ways to reclaim this ancient Jewish ritual. This event is sponsored in part by a Jewish Federation of Cleveland Young Leadership Division Microgrant. While there is no cost to attend, space is limited. Please click here to register by October 15th.